Born and raised in Sacramento, Scott Ostrander landed his first restaurant job at 18, making pizzas at a local restaurant called Cafe Bernardo. He quickly moved from pizza, to pantry, then to Sous chef. After a number of years in that position, he accepted the Sous chef position at Paragary’s Bar and Oven, a well-established restaurant with a long history of excellence. This was his first glimpse of fine dining. A year later, he accepted the head chef position at Cafe Bernardo and worked closely with Executive Chef Kurt Spataro to create seasonal menus utilizing local ingredients. He eventually moved on to be the opening chef of a new fine dining restaurant named Restaurant 13. This opportunity led to the relationships with farmers and purveyors that he still uses today. Then Chef Ostrander landed a job in Chicago at the world renowned Alinea, a 3-star Michelin restaurant and a leader in molecular gastronomy. While he gained valuable knowledge from the experience, he missed the West Coast, and returned to work as the Chef de Partie at Lucy, located in the Hotel Bardessono in Yountville. His work involved gardening, harvesting and learning classic French cuisine under the tutelage of chef Victor Scargle. 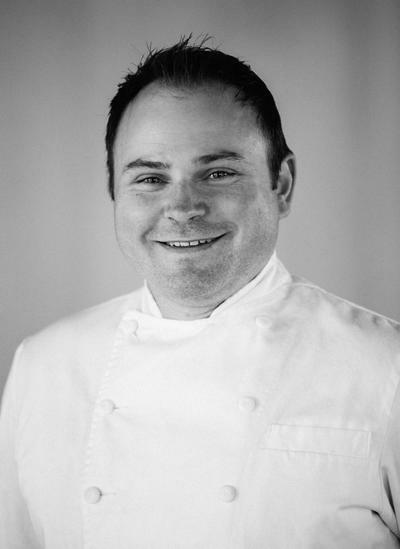 Later, Scott returned to Sacramento to accept a position as Chef de Cuisine at Esquire Grill, before accepting the position as Chef de Cuisine at the newly remodeled Paragary’s. Chef Scott will co-host the Farm to Fork Panel: Farmer, Rancher, Grocer Chef session on Friday, July 29 at IFBC.